With appache it works but with nginx I'm getting 502 error, no matter the type of project I'm selecting from phalcon devtools. Any hint on what I'm doing wrong? I have already done it... The nginx settings work fine when I place any other php project, but with falcon it fails to work. You must enable phalcon.so in FPM. I guess that's why it works with apache as you did it properly there - but missed to make a symlink for it on FPM side. BUT, on the other hand - 502 wouldn't be the case under such conditions.... it would simply raise a fatal PHP error. See logs for both nginx and PHP side. Edit: I believe you're having issue with permissions (fpm worker / nginx / socket files). @ruudboon I'm using Phalcon 3.4.2 with all required extensions. 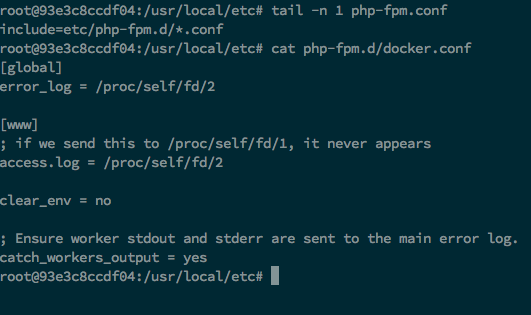 @stamster Phalcon is properly enabled in php-fpm. if I modify Phalcons public/index.php and after <?php I place phpinfo(); exit(); I get phpinfo results where all required extensions including Phalcon are present. PHP error.log is empty because there is not any error to log, if I intentionally place an error in index.php then PHP logs the error I placed. If I remove Phalcon project and place Laravel (or any other) instead without any modification for nginx or php settings in docker it works fine. It only fails with Phalcon for reasons yet unknown to me. I tried your config and it works fine. Doesn't look Phalcon related. Maybe you can check the following. 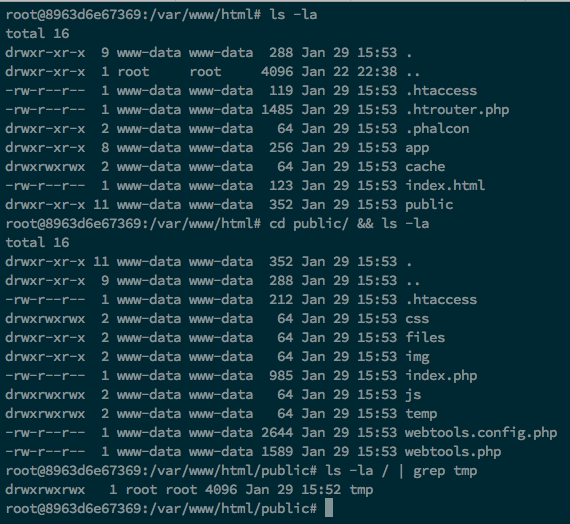 @ruuboom you run my docker compose file and it worked fine for you? That is very strage.. But it is very strage if it indeed works for you and not for me because since it is in a docker container we should have the same results. I'm still struggling with this one, I purged everything from docker in my local machine and I'm still getting the same error. Also had some bad gateway, because of fpm process termination (socket closed unexpectedly). How to identify - sett error reporting in all places - php.ini + php-fpm.conf + set "show startup errors" = ON this will identify problem why PHP script is dying. One more thing to look before everything - Phalcon needed extensions are not enabled for FPM mode and this should be checked. Redirect worker stdout and stderr into main error log. If not set, stdout and stderr will be redirected to /dev/null according to FastCGI specs. Default value: **no**. Well, I got to a point where I think that it's not worth it. I have no f* clue why I get 502 bad request error. I checked file & folder permissions, I configured PHP, PHP-FPM and Nginx correctly, error logs are empty, access logs do not help much, I followed all your suggestions, double - triple - quadro checked my settings, all seems that it should've worked just fine. The line that causes the 502 bad request is $router = $di->getRouter(); inside config/router.php for reasons unknown to me. @ruudboon you saved the day! Indeed it was because my image is built on docker hub.... it kind of makes sense because docker is not a VM but it uses your OS to some extend, but at the same time it doesn’t make sense. Whatsoever, I run docker build -t panosru/php:dev . in my local machine, and it works now! Great that is working. Will link this topic to the issue. And see if we can solve this.